This gif set of precious Wang Junkai with precious deers. More here. Part tomb-raiding and part-nature adventure, Eagles and Youngsters 天坑鹰猎 airs today on Youku and Youtube(?). The series is based on the book of the same name by author Tianxia Bachang of Candle in the Tomb fame. This will be the first big-budget leading role for the two teenage leads, popular idol Wang Junkai and Golden Horse Best Supporting actress Chen Wenqi. They’re joined by Jiang Yiyi, Zheng Hao, and Ye Xiaowei. Marie Claire did a “Chinese Style” photoshoot featuring some of China’s hottest young stars, incluing Yang Mi, Li Bingbing, Chris Li Yuchun, Tang Yan, Angelababy, Huang Xuan,Wang Junkai and Yi Yangqianxi of TF Boys, Liu Haoran, Sheng YIlun, Victoria Song Qian, and Song Weilong. Whose photo do you like the best? Noble Aspirations 青云志, has released more character stills of its younger cast members aka TF Boys. 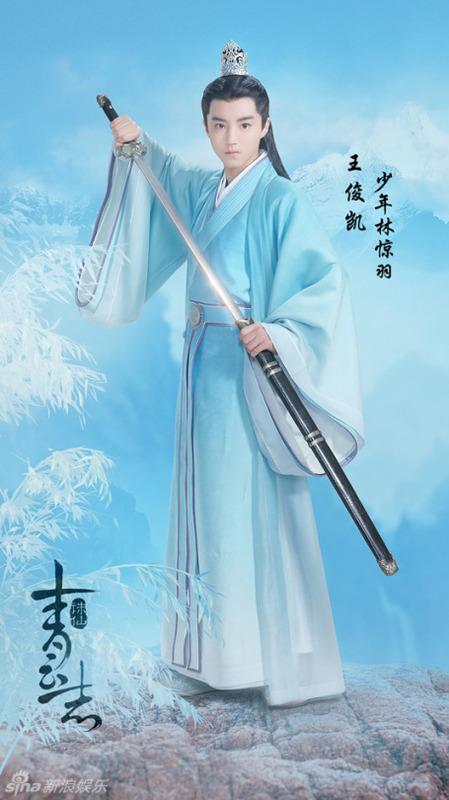 Starring Li Yifeng, Yang Zi, and TF Boys‘ Yiyang Qianxi, Wang Yuan, and Wang Junkai, here comes more periwinkle costumes. Can you guess which of them plays the younger Li Yifeng? Noble Aspirations 青云志, starring Li Yifeng, Yiyang Qianxi, Wang Yuan, Wang Junkai, and Yang Zi. 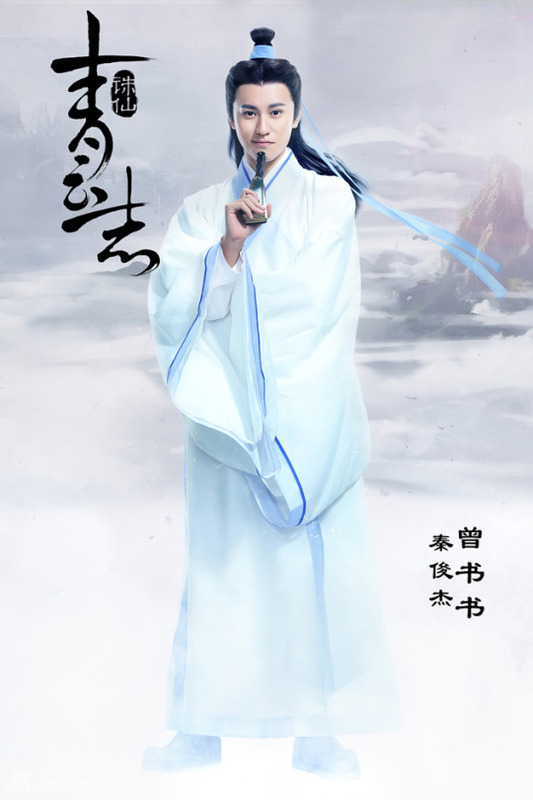 The story is an adaptation of Xiao Ding‘s novel Death of the Immortal 诛仙 seems to center around three individuals who escape a massacre and gain power through different sects and are also thrust into a love triangle. The forecast for C-dramas sees the building of clouds over more other-media-related dramas. Thanks to Hua Qian’gu, which I unfortunately did not enjoy, prepare for what looks like a deluge of Xianxia dramas. 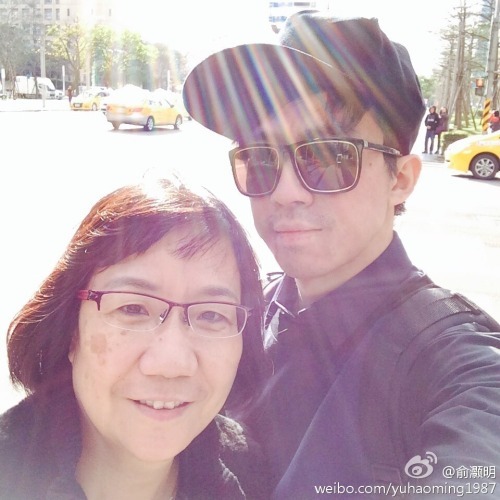 Meteor Shower actor Yu Haoming wrote a poignant message for his mother, who was with him every step of the way after he was injured in an explosion in 2010 when filming a drama with S.H.E’s Selina. After being hospitalized with numerous third-degree burns, his mother personally cooked every meal for him and brought it to the hospital for him to eat. Haoming shared in a recent interview that his mom is still in the habit of calling him a few times a day to check up on him. And for those of you wondering what Haoming is up to, he just started filming a drama called Before the Rain (暴雨将至), which also stars Huang Zhizhong and Jordan Chan. #In this world, only Mom is good# Mom’s goodness lies not only in her meticulous care in life, the urging of her patient persuasion, and her duty-bound silent support. Even more precious is that every time we take a picture, I will consciously rush onward, in order to make my face a little smaller. Everyone, where can you find such a good mother? Mommy, Happy Mother’s Day! I love you!